Many people have the perception that environmental regulations and innovations cost them money. This isn’t hard to understand. Energy-saver light bulbs, for example, were ten times as expensive as those they replaced, and most people know that recycling household rubbish is quietly subsidised to make it feasible. Yet in these times of high energy bills and carbon concerns, it seems obvious these things should work together – saving energy is good for the planet and for your pocket. White goods now come with energy certificates, and most boilers are being replaced with more efficient condenser combis, but air conditioning seems more baffling – it involves the totality of the air-conditioned space, and that can be a vast open-plan office or an entire high-rise building. The latest eco-friendly HVAC units save energy with better refrigerants, heat pumps, inverters, evaporators, condensers, and sensors. They cool air when it’s hot and then provide heating when it’s cold. Businesses replacing old equipment can offset the cost against taxes through the Enhanced Capital Allowances Scheme. Some old air conditioning still uses R22, a banned CFC. Modern replacements containing R410A are 30% to 60% more energy-efficient, so you’ll recoup their cost within three or four years in lower bills. That’s also a large reduction in CO2 emissions. Refrigerators work by pumping heat from inside to the outside. 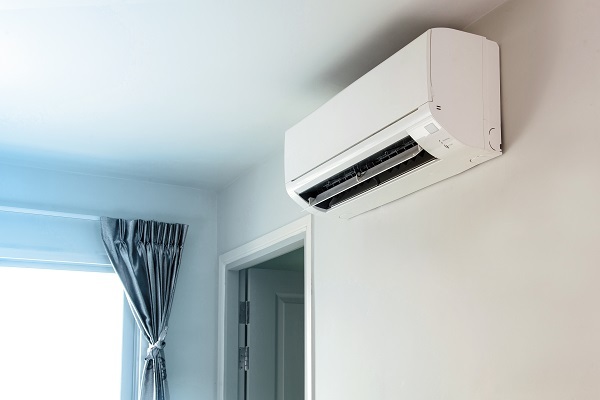 In air conditioning a heat pump can be reversible, allowing the same system to heat or cool as needed. Older systems simply blow air in a crude on/off cycle. Inverters modify the current going to the compressor in response to sensors monitoring your rooms, automatically providing the exact cooling or heating needed. This continuous adaptation is far more efficient, so replacing an old fixed-speed compressor with an inverter could save 50% on its own. For a single 5kW unit, that’s around £500 a year and 1.3 tonnes of CO2. Combined with the pump, the Coefficient of Performance (CoP) is about one to four, meaning for every 1kW of electricity consumed 4kW of heat can be moved into or out of the building. Older systems worked like fridges, with evaporating and condensing coolant contained in coiled pipes. Modern systems can use open condensers (like combi boilers) to salvage waste heat and open evaporators using fresh air to cool. 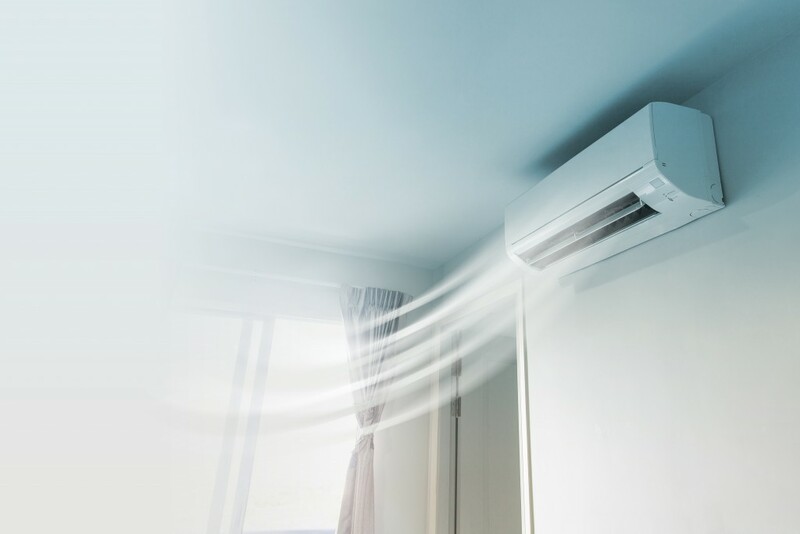 Variable Refrigerant Flow (VRF) heat recovery systems even use the excess heat to power the cooling system or transfer heat from the sunlit to the shaded side of a building. Evaporative Air Cooling uses 85-90% less electricity than systems based on refrigerants and fans, and the circulated air is 100% fresh instead of 80% recycled. Sadly, modern homes, offices, kitchens and workshops are full of pollutants from furnishings, cleaning products and appliances. 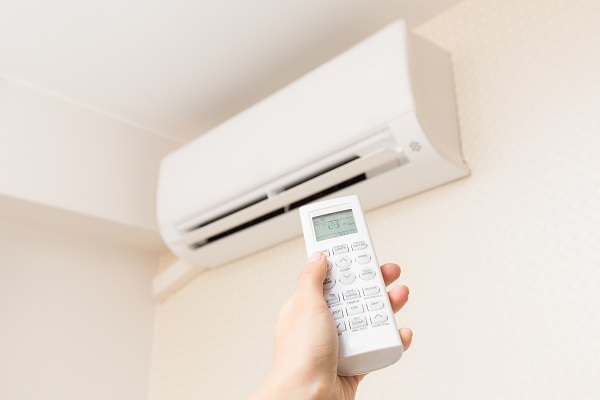 Eco-friendly air conditioners are an opportunity to ensure you have healthy air. Filters remove VOCs that cause cancer and lung disease. They eliminate carbon monoxide, ammonia, allergens and bacteria – protecting your family or workforce and reducing sickness and absenteeism. Clogged filters waste energy, so they should be cleaned monthly. Condenser coils should also be cleaned regularly. Service contracts are cheaper than emergency call-outs, and by keeping everything ship-shape they can save you a small fortune.